In a crumbling, isolated house at the foot of Mount Kanchenjunga in the Himalayas, lives an embittered judge who wants only to retire in peace from a world he has found too messy for justice. Then his orphaned granddaughter, Sai, arrives on his doorstep. It's the judge's cook who watches over the young girl distractedly, for the judge's thoughts are claimed by his son, Biju, who is hopscotching from one gritty New York restaurant to another, trying to stay a step ahead of the INS on an elusive search for a green card. Later, an Indian-Nepali insurgency in the mountains interrupts Sai's romance with her Nepali tutor and causes their lives to descend into chaos, and they are forced to confront their colliding interests. As the nation fights itself, the cook witnesses the hierarchy being overturned and discarded. And the judge must revisit his past and his own role in this grasping world of conflicting desires. 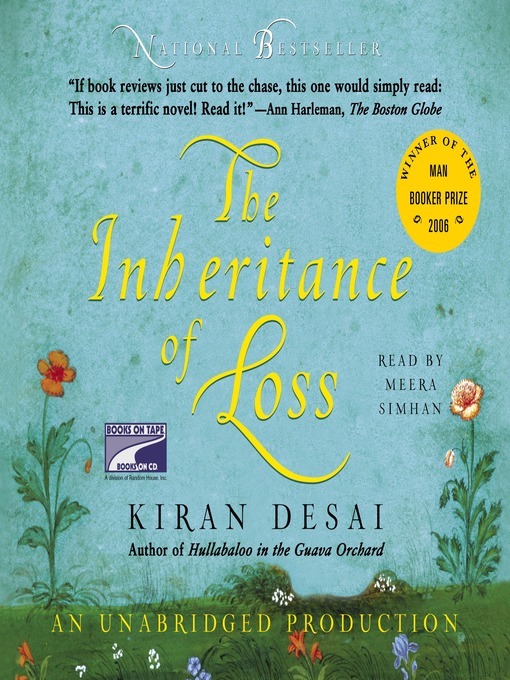 In a generous vision, sometimes funny, sometimes sad, Desai presents the human quandaries facing a panoply of characters. This majestic novel of a busy, grasping time illuminates the consequences of colonialism and global conflicts of religion, race, and nationalism.